Adirondack Chalet at Gore Mountain offered for winter ski rentals, for summer rentals and as a weekend or vacation rental. AVAILABLE YEAR ROUND. 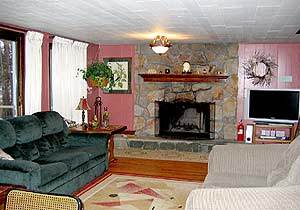 An ideal Adirondack vacation or getaway rental for a family or a group of friends seeking to to enjoy the outdoor activities of the Adirondack region or simply to relax in the beauty of the Adirondacks. 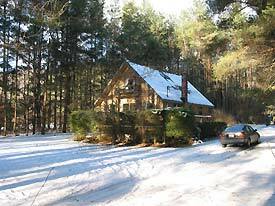 Three bedroom ski chalet and summer house in the Adirondack Gore mountain region, close to the village of North Creek. Located on the foot of Gore mountain, practically seconds away from the entrance of the Gore Mt. ski resort and near all adirondack activities. Available for winter ski rental, summer rental, weekend or vacation rental. Conveniently located and privately situated on its own private acre. 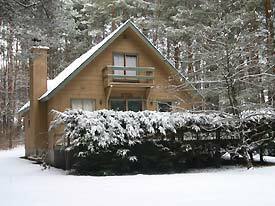 Our beautiful Swiss style chalet in the adirondacks is close to year round adirondack activities and attractions. In the summer: enjoy swimming and fishing. 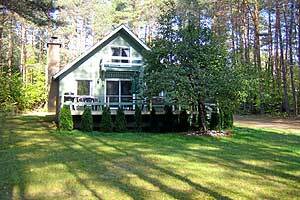 Minutes from many lakes, hiking, mountain climbing, etc. In the winter: Gore Mountain is 2 minutes away and other major ski areas within less than 1 hour (including Lake Placid.) There is also cross country skiing, snowmobiling, ice fishing and much more. The Fall is truly a visual treat in the Adirondacks and the Chalet is perfectly situated to take in all of Fall's splendor. The Southern Adirondack Region is a popular tourist and vacation spot for those who enjoy the Fall months. Our Adirondack Chalet in the heart of the Gore mountain region in Upstate New York is an ideal rental for a family or a group of friends for an Adirondacks dream vacation. 7min from Hudson river and White Water Rafting facilities, less than 1 hour from Lake Placid and White Face Mountain ski resort. Also you can enjoy swimming, fishing, horseback riding and much more! Visit our activities page for a year round overview of adirondack activities and nearby attractions. Easy access to year round Adirondack activities and outdoor sports. or contact us (email us or call us) and we will be happy to assist you with your inquiry.